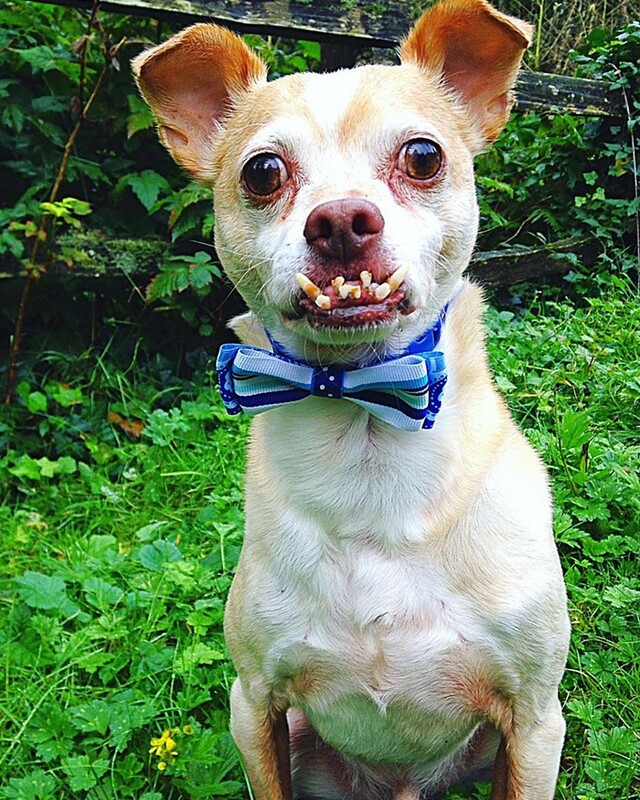 Rabies is one of our three finalists for The Stranger and Jet City Animal Clinic's second annual Ugly Pet Contest. Unfortunately, Rabies passed away the day before we were supposed to photograph him. Our thoughts go out to all the people and pets who ever loved Rabies. His underbite will live on in our hearts forever. We asked Gina, his mother, to tell us a bit about him. How did you meet Rabies? Where did his name come from? Gina: I first met Rabies at the Wenatchee Animal Shelter in 2007. I noticed a small carrier in the hall where dogs were in kennels. Something made me want to peek in that carrier. The little guy was curled in the back. He was scared and snarled at me with that adorable underbite. My first words were "This little guy has rabies!" I left the shelter that day without him, but could not get him out of my head. A week later, I went back to see if he was still there. Sure enough, the little dude was curled in the back of that tiny carrier, snarling in fear. I grabbed some of his kibble and told him I would not hurt him. He then ate the kibble, licked my hand, and proceeded to run zoomies up and down the corridor. The other dogs seemed to be cheering him on. I picked him up, told him he was not going back in the carrier and received some face kisses. He knew he was rescued. The name Rabies stuck, and he was my bestest buddy ever since. What’s the greatest lesson you learned from Rabies? 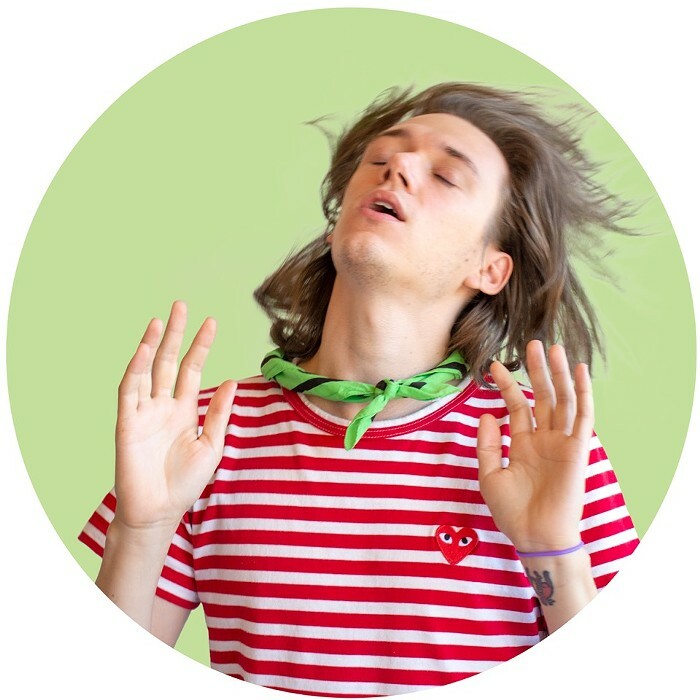 Rabies taught me a lot about trusting myself and loving myself. He didn’t care he had snarly teeth with his prominent underbite. He was a big dog in a little body. His fans and friends on Instagram were loving of him as well. The love that poured out to me over his recent passing touched my heart in ways I can’t explain. It also showed that people really do care in this world, where often only the negativity reaches our eyes and ears. I want to also include that Rabies was a horse poo connoisseur. Living with horses, he loved to help me with farm chores. Often times, he would get horse poo in his teeth. He wore that poo proudly. This did limit mouth kisses. He was famous on Instagram as a poo eater. 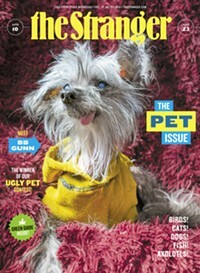 The Stranger's Pet Issue comes out on Wednesday, 4/10, and features our #UglyPetContest winner on the cover.